How are you today? I see some warmer weather in the near future! I know it has caused my allergies to go wild?? I'm not 100% sure I am ready for it! Guess what today is - time to reveal some more UFO numbers for next month! I didn't quite get my projects completed but I did get 3 of 4 Whooterville blocks embroidered (WOOHOO!!) 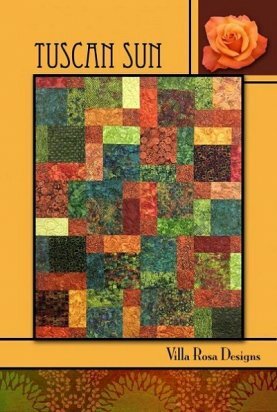 and a fourth of my quilt blocks pieced for my quick curve wedding gift quilt! So I'm feeling pretty good about things and I'm ready for next month. If you are sewing along next month we are working on 6 & 15! Can't wait to see your progress - don't forget to share with us on Facebook & Instagram. Let's see what's happening in the shop today! Mark your calendars ladies! The 18th Annual Nebraska Shop Hop is right around the corner - April 7th to April 16th! This year's fabric is themed Seasons Sewn. I can't wait to see what everyone makes with it! Shop Hop bags will be available to purchase here soon! 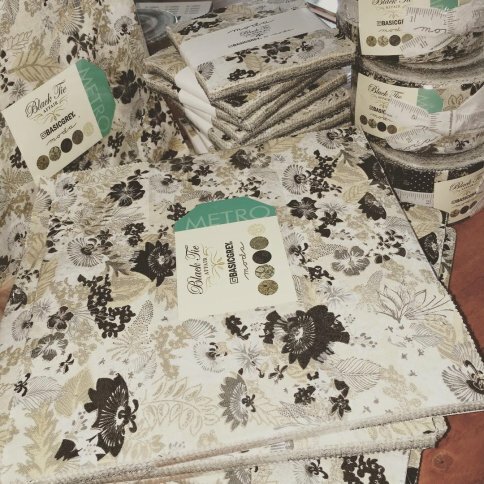 We have a beautiful NEW line of fabric in: Black Tie Affair by BASICGREY. Pre-cuts and yardage are both available. I am thinking this will be a great one to use for our upcoming Pamper & Press Class sample! What do you think? We will be at it again in March with another Pamper & Press! It will be held Saturday, March 19th and we will be making Tuscan Sun! Seating is limited to 10! Only 3 seats left! 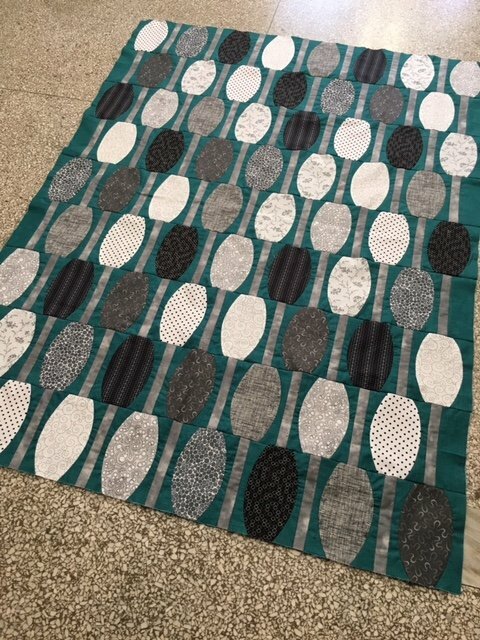 Are you loving the modern look of the Quick Curve Ruler quilts? Check out the latest one Urban Abacus! Kits are available. I'm so in love with the color combination. Haven't tried the ruler but would like to? Stop in and schedule a Sit N Sew day! We would love to teach you about the endless possibilities with this ruler! We had a blast at our Disappearing 4-Patch Class! Now to find time to sew some more of it! Don't spend your whole weekend inside - enjoy the sunshine! Have a wonderful day!